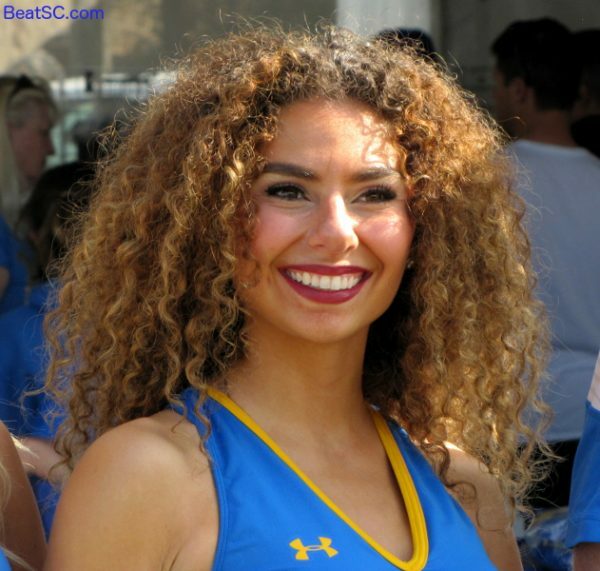 Ok, take it easy — I don’t think the students of the Spirit Squad are “things.” They are people. Human beings. Wonderful, intelligent, graceful human beings. I care about them quite a bit, as people. The word “things” is only used here to refer to the photos (not the people in the photos), and to make the article title rhyme with lyrics from “The Sound of Music.” Hopefully, these people will give me the benefit of the doubt, but after an incident yesterday, I’m not so sure. Hence, the explanation. Apparently, 12 years of loyalty doesn’t guarantee that someone will have your back. You have to keep trying, and proving yourself, and earning respect. Some day, maybe things will get better. 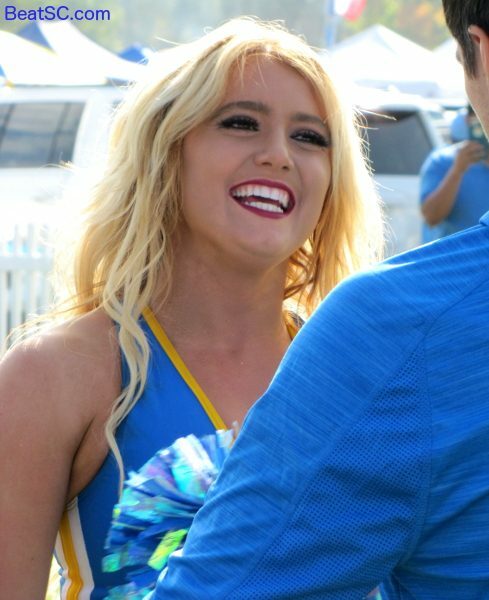 Meanwhile, let’s just enjoy a program-changing victory, and be proud but don’t gloat like that other school’s fans do. Here are 29 more Spirit Squad photos from yesterday. 40 more coming soon. 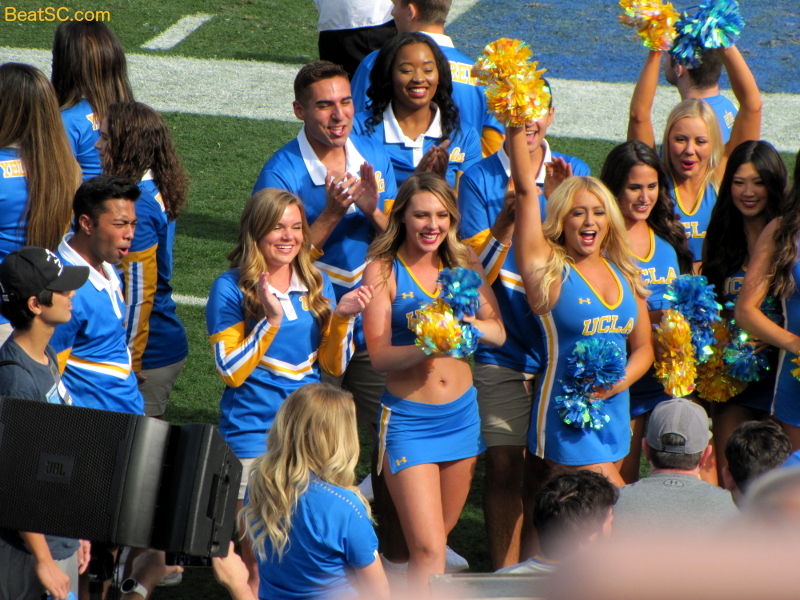 "THESE ARE A FEW OF MY SAVOR-IT THINGS" was published on November 18th, 2018 and is listed in UCLA/usc/Cheerleader Photos.